With irrigation forming a critical, complex system within the golf course environment, many owners pay their water bills without much thought. A little-known fact, however, is that water savings have the potential to drastically affect the cash flow of courses, with many clubs paying between 5 and 20% more than they should on their water bills. Applied to different areas of your course, savings like these can have a marked effect on the day-to-day running of your club. A water audit can detect a number of factors which aren’t picked up by standard computer systems. Water audits can reveal issues of wear and tear, issues with spacing and sprinkler selection, and problems with programming, pumps, and hydraulics. Where a system upgrade is necessary in future, enjoy the benefit of planning ahead and calculating the costs and savings associated with such a shift. Once problem areas are identified and addressed, efficiency of your irrigation system equates to great savings. 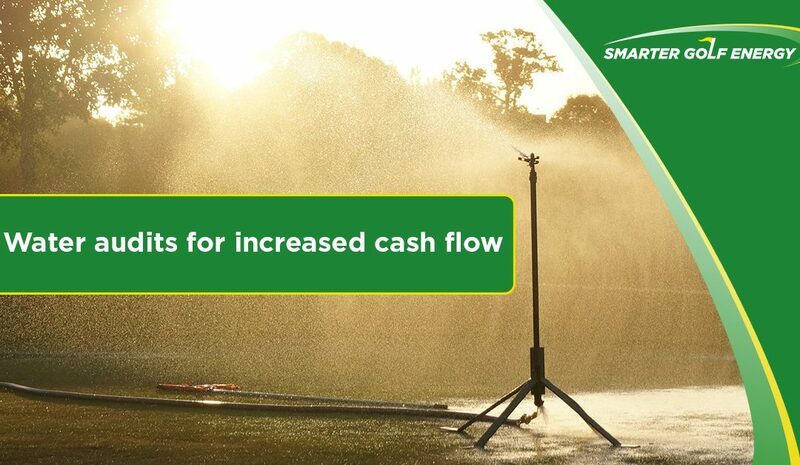 Once you eliminate over-irrigation to make up for dry patches, as well as instances of saturation, you will not only save on unnecessary water usage but will bank money and reduce spend on your water bills. Making these kinds of adjustments usually have a power-saving effect too for added savings in a different area. Through data collected in water audits, you are given invaluable information upon which to act – but also an insight into the performance of your equipment. Audits may reveal defects in equipment requiring repairs; alleviating the need for extensive costly repairs or replacement down the line. With turf maintenance such a central part of every course, your image and member satisfaction increases when your turf looks its best. A responsible approach to water management is also critical to sustainable business practice – a compelling marketable point for the modern golf course. Smarter Golf Energy are a team of experts – and golfers – intent on helping golf facilities find sustainable solutions for more efficient, profitable, playable courses. Contact us today to find out how we can assist you with golf course-specific water solutions.